Well Game Hunter book 3 release day is upon us, which is always a very exciting and nerve wracking day! I do hope you will be picking up a copy. Thanks for sticking with me and our teenage half-zombies, the romantic Tremayne and courageous Red! I’ve had a lot of fun writing Game Hunter 3 WE ZOMBIES. Despite my best efforts, it started quickly then sped along even faster than my previous two books, until the ending appeared to rush up on me and wrap things up in a fiery crescendo. Even I was surprised to see how the story line naturally brought forward one major character. He had been previously, if only briefly, spoken about in awe. As usual, like life in general, there occurs several unplanned and dangerous twists and turns, not least… hang on, Mark, you’re getting carried away again; don’t go spoiling all the surprises. In the middle of everything, Tremayne and Red continue their humorous exchanges. Maybe this time there will be something more – or perhaps, there won’t! I will say the story opens with Red fighting for her life and there’s nothing Tremayne can do about it. There are successes and failures and I’m afraid a number of our fearless heroes don’t make it. That includes… well, to find out you’ll just have to read the book right to the very exciting and unexpected end! I must admit, like our half-zombie Tremayne, I had to sit back and let out one long heart-felt sigh once the dust had settled over the battlefield and the last full-stop had been typed. 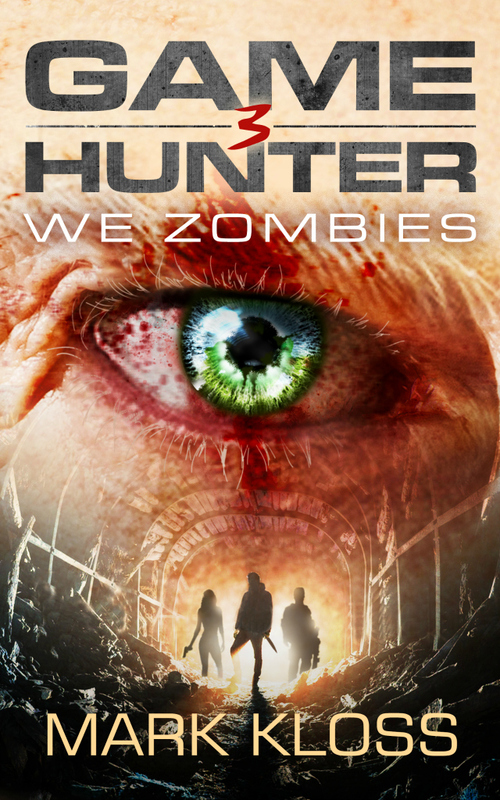 I wish you a happy and breathless read and hope you enjoy reading the Game Hunter trilogy as much as I enjoyed writing it. The book is available to buy on Amazon: USA & UK.